I am amazed how many times in my lifetime I have seen the past repeat itself. Beginning in the 1970’s, I have witnessed one form of financial meltdown after another, each occurring almost precisely 10 years after the last. I once had a wonderful professor who explained that the seemingly inevitable repetition of the past was based on numerous, very different factors, but with two factors appearing in virtually every case. The two “alpha” factors are (1) basic greed and (2) institutional memory. Basic greed is when one group of people is willing to compromise common sense, principles, and ethics to achieve the goal of simply having more than everyone else. Institutional memory is the length of time it takes for a corporation or public agency to forget the lessons it learned from the last economic fiasco that its own bad decisions helped cause. Typically institutional memory lasts ten (10) years so if you take 2007 and add 10 years you can see how close we are getting to the next loss of memory. Interest rates remain artificially low and this is the fuel feeding the fire of demand exceeding supply in many markets. If interest rates are allowed to move up, both demand and prices will likely drop in many areas and in some the drop may be significant. Although the banks and agencies no longer use the term “subprime lending”, I see down payment requirements dropping to 3% or less, credit restrictions easing, refinancing of current debt increasing, and a disconnect between contract prices and appraised values in many markets. All of these factors contributed to the last serious downturn in the economy and the precipitous drop in real estate values. Banks and mortgage companies are starting to push 100% LTC financing options out to low and moderate income borrowers seeking to acquire homes in targeted census tracts and if the borrower’s credit score is below 640 or the borrower does not use traditional credit, the lender will use non-traditional credit (whatever that means) to evaluate the borrower’s credit history. Banks, mortgage companies, and investment banks are actively lobbying for reduced regulations on lending and required consumer disclosures, relief from higher capital and reserve requirements, the ability to avoid obtaining full appraisals on many new home loans, and even an end to the Consumer Financial Protection Bureau (CFPB), a new agency born out of the last downturn. Real estate brokers and agents are facing increased competition from both new for sale by owner (FSBO) options and new reduced fee for service platforms. Coupled with the loss of control of their own MLS data, this has created a sense of urgency which shortens the time between accepted offer and close and resembles the same kind of frenzy last seen in 2006 and 2007 just before the last downturn. In many areas a significant source of both buyers who own and occupy and buyers of second/vacation homes comes out of the new sharing economy whereby a buyer counts on being able to generate income from short term rentals to offset the higher overall debt incurred. If short term rentals prove to be a fad or get regulated out of existence in certain areas, many will find themselves over-leveraged owners of homes worth less than what they paid. Are the Inmates in Charge of this Asylum? Inventories in my markets are no where near the levels they were at the last down turn. Colorado: Building feverishly. Previously left over developed land plots are now sold out, builders have been getting into new land and have absorbed the remaining land left from the previous downturn. Neighborhoods finally completed, new segments building up, base pricing is substantially elevated and climbing. All it takes is a rate jump and the purchasing power would be substantially diminished. Coincidence that rates were expected to track upward but went down again just as builders brought 5 year plans for massive expansion to fruition? I have been on the here we go again train for a long time now. They continue to feed out the rope and dumbass borrowers are eating it up. It’s coming. If you work for Appraisal Management Companies, YOU ARE THE PROBLEM! This is what I am seeing in my market as well. Appraisers who are still checking the boxes for stable and in balance are the ones to watch out for in my opinion because they probably don’t know how to interpret the market data. 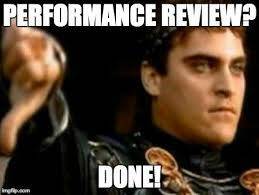 The other day I was asked to comment on a comp another appraiser used in a report. They didn’t say when the comp was used, and they attached a note saying the previous appraiser used this comp and is materially different in the following ways: Q4, design style garden, values stable, supply in-balance. The subject was a condo and there were no recent sales in the project; the most recent was over one year so I included it as a 4th comp and adjusted for time of sale. That was the comp I was to comment on. So basically depending upon when the other appraiser used the comp values were stable and there was a balance one year ago, but things changed when rates dropped, purchasing power increased, market rents increased, demand increased and supply diminished. I rated it q3 instead of q4 because it was an architecturally designed building with steel frame construction and all brick exterior. I called it a mid rise because there are 4 stories. 3 would have been garden. I commented as requested and sent it back, but what a waste of my time, and I don’t get a dime for the time spent on responding to that crap. 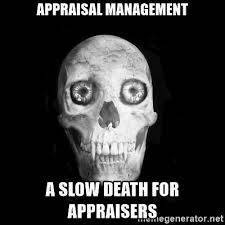 That is why Appraisers are leaving in my opinion. Think of all the extra work we do now that we didn’t have to do 5 years ago due to revision requests when the offer has an amended purchase price, or Fannie’s collateral underwriter finds a discrepancy. It is madness. We should be paid by the hour for every stupid little revision requested, then maybe they will stop asking for more from us, if they have to actually pay us for our time. Agree with all Mr. Trotiers basics, though Id quibble over semantics. Greed is a part of human nature. It is as necessary to human progress as curiosity, knowledge, raw materials and capital or its equivalent. By itself it is neither good nor evil…merely necessary. But, I do not want to detract from his basic point of the problems arising from short term institutional memory. Again, a minor but important correction. It does not take ten years. It takes only as long as it takes to start fooling regulators all over again, and to bribe corrupt politicians to promote their destructive views under the guise of “reforms.” HVCC was a perfect example. Less than a year after the November, 2008 disclosures that doom was imminent and unavoidable. The underlying problems were not even identified and regulators facilitated the greatest theft of taxpayer money in history. By the way, lets all agree on ONE basic fundamental. There should never again be a former Goldman Sachs employee in charge of the Treasury. Read their history. Then there was Dodd Frank. Again the outside, third party deep pockets were listened to rather than the experts. Mr. Trotier is employed by the insurance industry so I accept his criticisms in that area may be curtailed. But make no mistake, it was and IS the insurance industry, specifically the Title Insurance wings that are eroding America’s regulatory protections AND the professional integrity of those majority of appraisers that even without laws, would adhere to generally accepted sound appraisal practices. Remember that USPAP was not created by a government agency. It was created by appraisers that knew what they were doing. But USPAP and laws are not enough defense against the likes of First American that have their $$$ tentacles into all aspects of real estate transactions from listings, to sales, to arranging finance, title insurance, home warranties, AMCs, AVMs, ordering appraisals and yes even owning the number two appraisal software provider in America so that they can circumvent inconvenient bouts of principles or at least basic competency that would otherwise tell them that the product they were creating is defective, misleading, and borders on outright fraud (Go ahead First American-sue me….I DARE you!). Your advertised product was so bad it caught the attention of the Appraisal Subcommittee executives before it was even released! LETS go ahead and make it public record in a court of law rather than an obscure public agency hearing! I digress. No Mr. Trotier is does not take ten years for institutional memory to lapse. It takes from less than one year to five or size years for unrestrained (insidiously evil) institutional greed to overcome common sense, basic morals, recognition of societal necessities and to rationalize elimination of protective regulations; replacing them with self serving carve outs. What takes ten to fifteen years is for society to catch on and demonstrate their outrage! Its not unlike IRS abuses. They existed since the 1970’s. In the mid to late 1980’s they got so bad Congress passed laws against quotas. (NOTE Keep in mind here that the average IRS Executive compensation manager has been an IRS employee for 35 to 40 years). In the 1990’s abuses again reared their head. And we all know about Lois Lerner. Each time new laws were passed. Each time those laws were left to the corrupt leaders to implement. How’d THAT work out? The SAME people have been the ones committing the abuses all along! Yet we protect them, and fire whistle blowers. I’ts no different in the world of high finance. The CEOs, their senior executive staff accountants and legal advisors have all been around for more than thirty years. One good argument for mandatory retirement would be to put an end to mini empire carve outs that erode the rules the rest of us live by. (ps I am a former senior IRS appraiser and have some direct knowledge about what I am speaking of). You do NOT have to be a democrat, a liberal or a nut to be a union member. Most of us probably aren’t any of these. I proudly identify myself as California’s only Republican union organizer in public hearings. Politicians on BOTH side don’t know what to make of that. ALL are welcome. The ONLY requirement is to be an honest appraiser concerned with our profession, or an affiliate that supports honest professionalism. Mike, I really commend you for your efforts on behalf of appraisers. There was a time that I worked with various appraisal organizations in an attempt to improve this industry. Gee…I later realized that most of those organizations were the problem! It seems that we have very few friends in this business. Do you really want to pay money to attend the EXPO? (where AMC folks can tell you how to do an appraisal) Thank you but I will pass! How about hiring the “coach”. Should you buy all of the newsletters from gurus that have not done an appraisal in a decade? As a group, we a a pretty dumb bunch of people! Wayne, according to the “coach” and a recent blog post on his site, he completes 3 to 8 appraisals PER DAY. It is my understanding that he is the only appraiser in the office and has a team around him that helps. If the government has established a social security like number for each appraiser as it relates to the collateral underwriter (CU), I would love them to investigate how (if true) a single appraiser can complete 8 assignments per day. With his other ventures, and travel (including to the most recent Expo), it would appear greed is alive and well. Bill…have you ever heard about being as full of shirt as the Christmas turkey? that describes this dude to the hilt! don’t you just love our fellow appraisers that send their dues to appraisal organizations that only promote their piers! Really? How much of an idiot is that? “I am not an”ABC” but they are the best…can appraiser an acre on the moon…not me but let me wave a flag for their parade! Are we stupid or what? Let’s get real!